Great brownies topped with delicious 3 Musketeers nougat. Preheat your oven to 350 degrees. Grease the bottom of your pan ~ I used an 8×8. 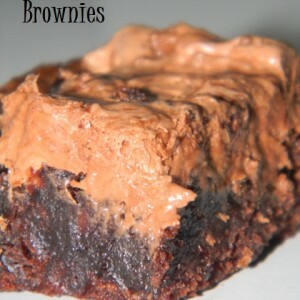 Combine the brownie mix, oil, water & eggs in a large bowl and stir about 50 strokes with a spoon. Spread batter into the greased pan. While the brownies are still hot, lay the 3 Musketeers candy bars across the top. Bake for an additional 5 minutes or until you can spread the candy bars to make an ‘icing’.